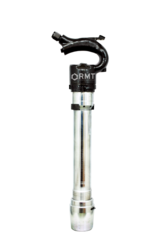 Stroke length (inch): <1",1" - 2"
Stroke length: 1" - 2"
ranging from small fragile components to large heavy duty automotive components, the pneumatic riveters guarantee good quality riveted joints every time. These riveting machines can also be integrated into special machines. To cater the varying needs of our patrons, we are readily engrossed in delivering an inclusive variety of Pneumatic Riveterto our patrons. Owing to their exceptional finish, these are immensely demand. To add, these could be purchased from us at highly reasonable costs that too amid the assured span of time. AeroLine Pneumatic POP Riveter, Size: 3/16"
Ocean International was established in the year 2003 is the most promising Manufacturer and Supplier entity able to produce finest range of Rivets and Fasteners. We are manufacturer of multi Grip alloy Rivets & Exclusive importer of Riveting solution & one of the largest stockist of North India as per application. Own service centre for repair of Riveting & rivet nut tools. 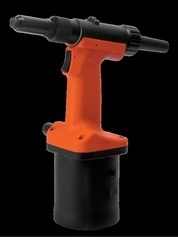 Being a leading enterprise of this industry, we are offering a huge range of Pneumatic Pop Rivet Gun.